The top giants’ encounter will close the 18th round and the entire calendar year. Shakhtar approach the closing game being ten points ahead of Dynamo. Dynamo is one of the two teams that Paulo Fonseca’s outfit failed to beat in the current Premier League edition, with the desire to leave for the winter break with a positive result being the Orange-and-Blacks’ main motivation. For the second time in five days, Shakhtar are facing an away game. On Thursday, the Pitmen claimed a convincing victory in Braga and completed the Europa League group stage with a 100% result. The same night, the Donetsk side returned to Kyiv and started preparing for the upcoming game the following day. 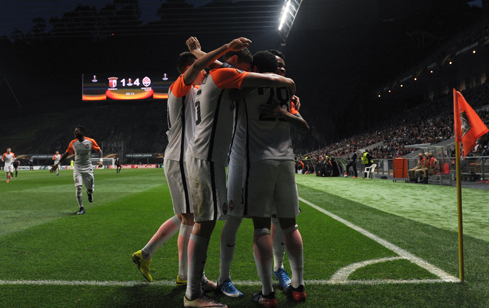 On December 6, Dynamo slammed the door in the Champions League, thrashing Besiktas (TUR) 6-0 at home. Kyiv claimed the bottom spot in the group, however, still improving their mood before the last game this year. In the 17th round, Dynamo lost points in the match vs Vorskla (2-2), interrupting their four-game winning streak in the league. Serhii Rebrov’s team go 6 points clear of the third-spot Zorya. Oleksandr Shovkovskyi is not preparing for the upcoming meeting. The rest of the players, according to the head coach, are available and want to prove themselves in the game against Shakhtar. The opponents had 50 meetings in the Ukrainian league. The Orange-and-Blacks won 17 times, Dynamo – 19, also drawing 14 times. The goal difference is 64-59 in favour of Kyiv. 24 games took place on Dynamo’s pitch, with 14 wins claimed by the hosts, 5 – by the Pitmen, with 5 draws. The goal difference is 39-23. On September 9, Shakhtar received Dynamo in Kharkiv. The visitors took the lead on 24 minutes into the game, when Gusev converted a spot kick. Shortly before that, Shovkovskyi rescued his team after Bernard’s attempts, and later Stepanenko and Kovalenko had some good chances, but wasted them. After the break, the game shifted to Kyiv’s half of the pitch. For a long time Serhiy Rebrov’s charges withstood the opponents’ pressure. Yet on 75 minutes, Donetsk equalised: Dentinho headed home a Butko pass to make it 1-1. The Pitmen’s goal-scoring streak in the Premier League kicked off on August 28, 2015, comprising 37 matches now (103 goals). Kyiv lost points in four meetings this season, scoring the openers in every game though. Taison may make his 150th appearance for Shakhtar. The Orange-and-Blacks winning streak includes 11 games.